SACRAMENTO, Calif. and WASHINGTON, D.C. (February 20, 2018) – (RealEstateRama) — The Solar Energy Industries Association (SEIA) commended legislation filed in the California Legislature on Friday that would make it easier for businesses, schools, nonprofits and municipalities to access solar energy. In turn, this will help generate thousands of new jobs and millions of dollars of investment in the state. The bill, SB 1399, was authored by California Sen. Scott Wiener, who represents San Francisco and parts of San Mateo County. The legislation expands access to offsite solar projects for non-residential customers, by allowing them to partner with already-developed sites – such as parking lots, warehouses, brownfields and landfills – and use those sites for solar energy that the local community can access. California has an abundance of previously developed sites — 35,000 acres in total, including 20,000 in disadvantaged communities — that could provide ideal locations for solar energy. This bill establishes a pathway for non-residential customers to take advantage of clean energy and enhance both the built environment and the local economy. 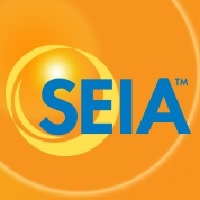 SEIA urges the California Legislature to pass this bill, and allow solar to deliver more clean, reliable, affordable power to businesses, schools, public agencies and nonprofits in the state.